One of the most exciting parts of our summer has been our family vacation to Busch Gardens in Williamsburg. 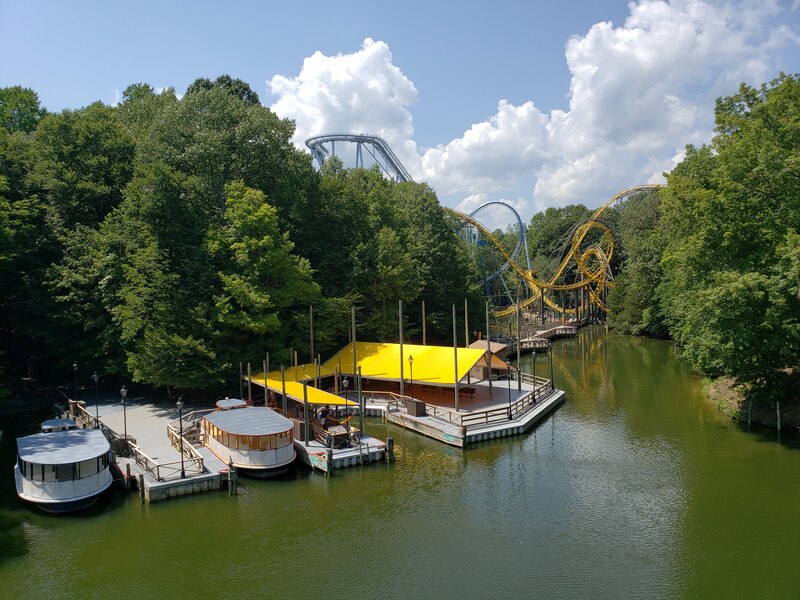 Featured today on Theresa’s Reviews, I am sharing tips for visiting the amusement park with children to help you have a fantastic summertime experience. 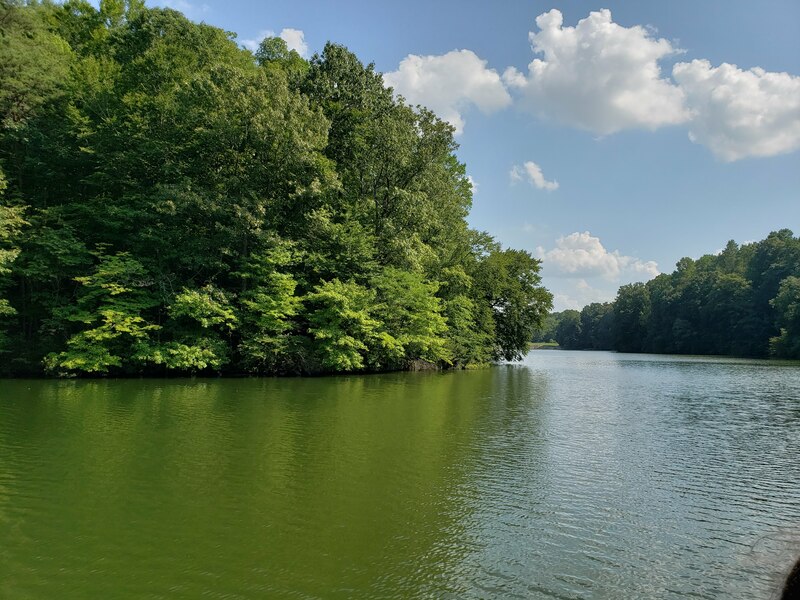 Since we visited in August with two children under age 9, the hot weather made everyone more tired than usual, but we made the most of it and had a wonderful visit! 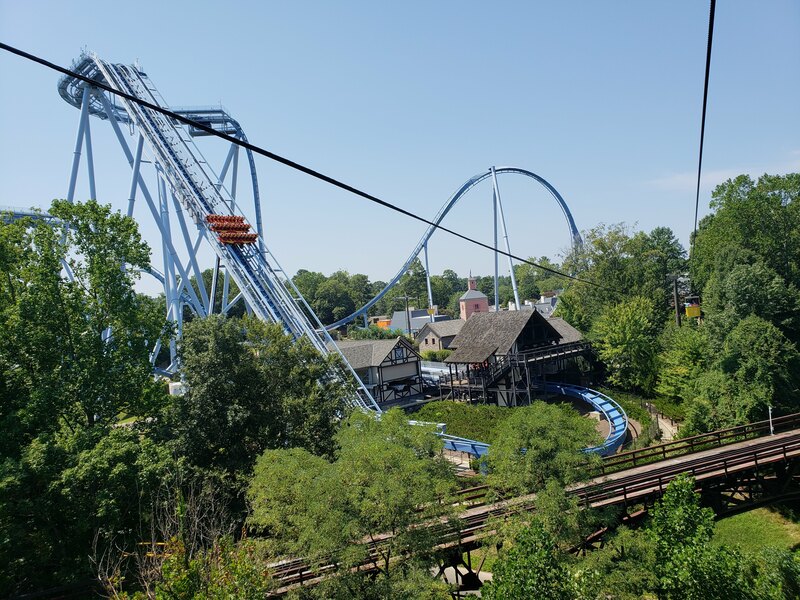 To plan your first vacation to Busch Gardens Williamsburg, you should consider the age of your children as well as the weather. With young children, there is still plenty to do, but you might not accomplish as much during your visit. Check out our visit to get some tips! 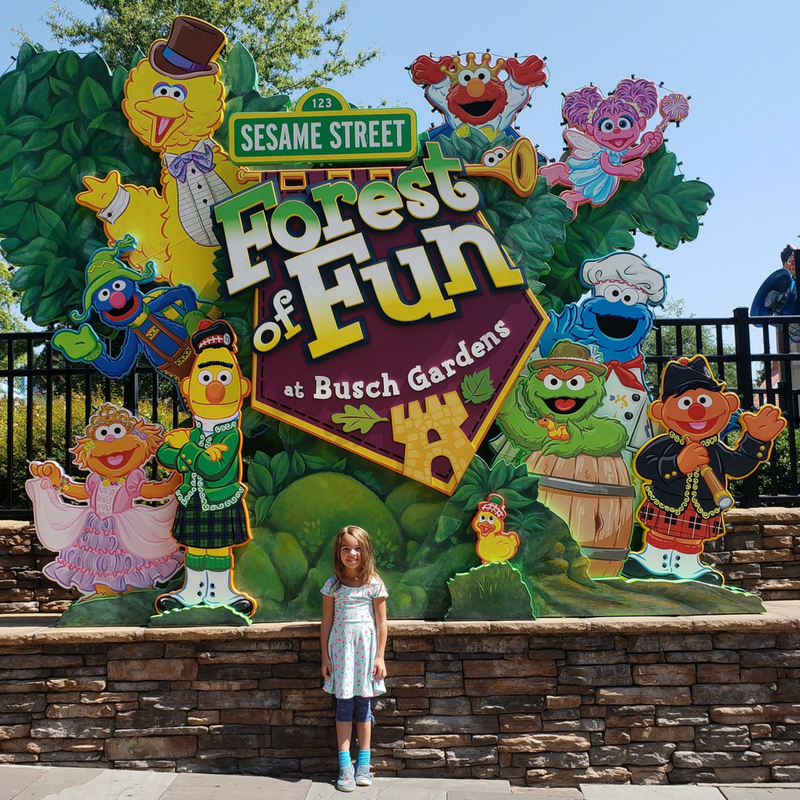 If you are bringing young children to Busch Gardens, a must-visit spot is the Sesame Street Forest of Fun. 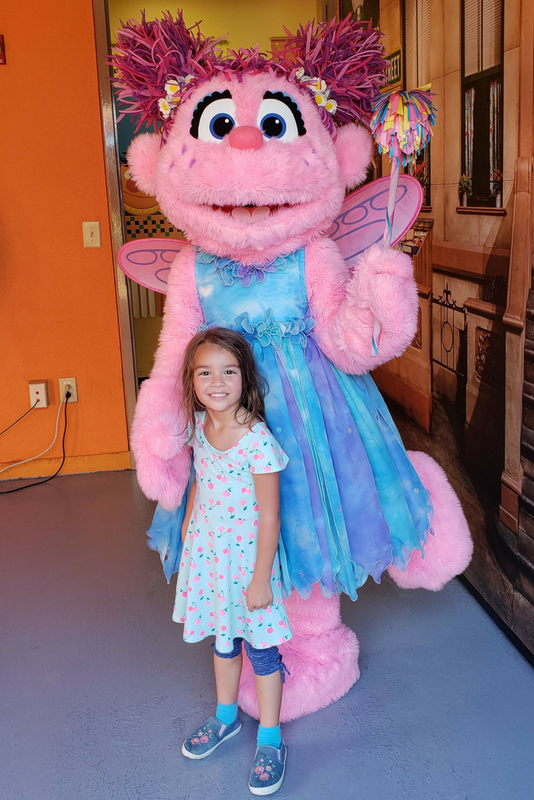 Since one of my daughter’s favorite childhood memories was her visit to Sesame Place in Bucks County, Pennsylvania, she couldn’t wait to see her favorite characters again. At the Sesame Street Forest of Fun, you can meet the characters. Abby was meeting guests, and Oscar was there next. In this area of the park the lines are very short. When you visit in August, the heat can be unbearable. During our visit, the temperature was in the high ’90s and it felt like it was over 100 degrees. 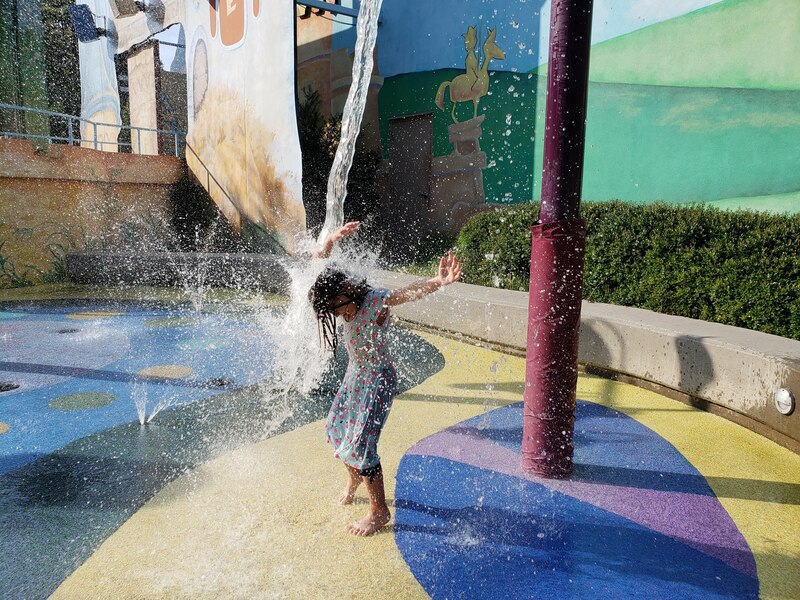 Children can wear their bathing suits to the park to enjoy the splash pad at Sesame Street Forest of Fun. This was one of my daughter’s favorite parts! 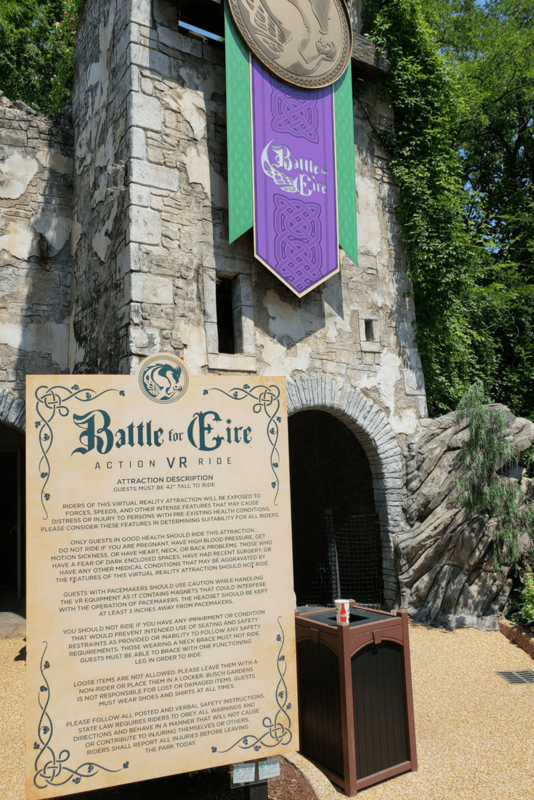 Another kid-friendly experience that gets you out of the heat is the Battle for Eire Action Virtual Reality Ride. In this 360-degree virtual reality adventure, you team up with the last fairy guardian to rescue to sacred Heart of Eire. Although you do battle evil in the ride, it is not very scary. You can also easily remove your VR headset if you don’t like the motion or if a child gets nervous. Make sure to check your purse in the nearby lockers in advance since you aren’t allowed to bring bags on the ride. Another tip for beating the heat is to take a Rhine River Cruise Boat Ride. Located in between Germany and Italy, the river cruise is a nice way to get out of the sun and rest. During the cruise you get a beautiful view of the river. With the tour guide giving an interesting history lesson, you also learn about the area. Although the cruise lasts only about 10 minutes, it is refreshing to sit down in the shade. Another way to cool down is to grab lunch indoors. 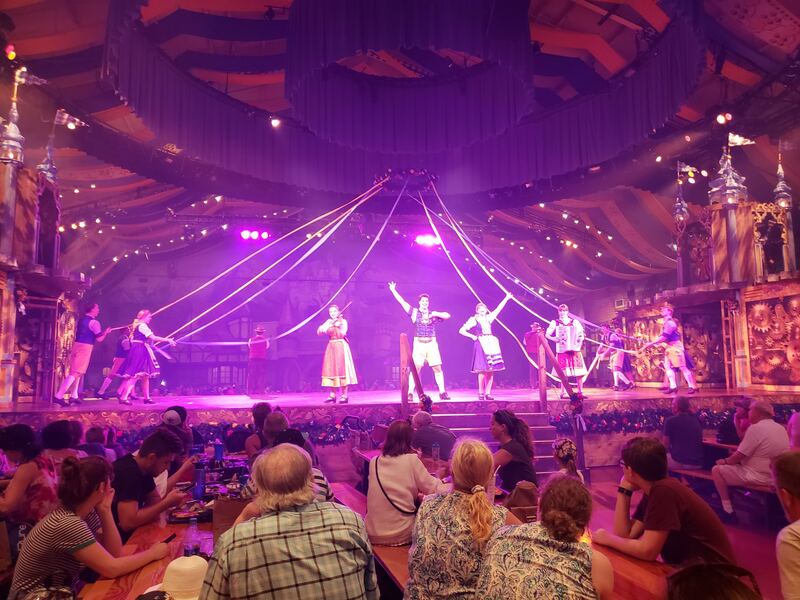 We ate at Das Festhaus, which is a German dining hall, where you can see a live show while eating. During the show, the children were invited to come up and do the chicken dance in the middle of the room. Not only was my sausage platter delicious, but my daughters also enjoyed their children’s meal. Children can cool off in the Land of Dragons, a play area for children. With a splash pad, jumping jets, a tree house, and climbing nets, this area is an enjoyable break from the rides. 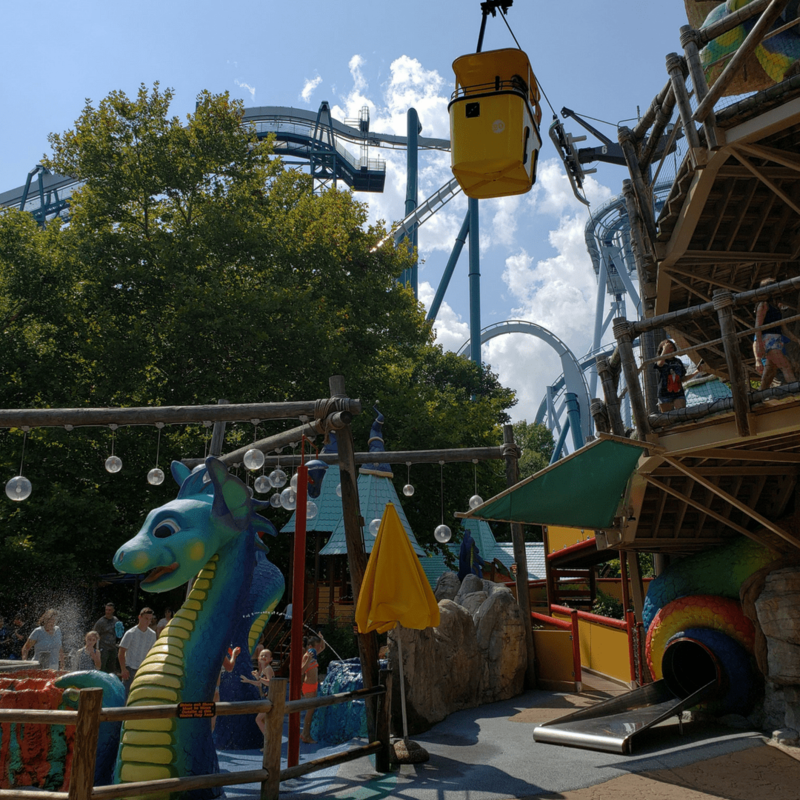 One last way to beat the heat is to check out the water rides. 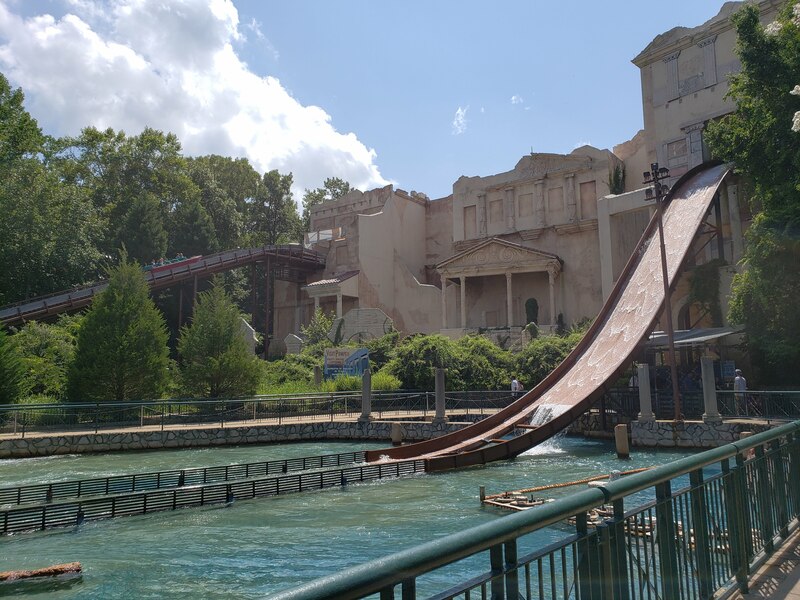 One exciting ride was Escape from Pompeii. My older daughter likes the story of Pompeii since she enjoys reading the children’s book Adriano, il cane de Pompeii / Hadrian, the dog of Pompeii. She enjoyed the adventure with a re-enactment of the Pompeii destruction. Our boat ride went past burning statues with real fire and landed with a splash. This was an exciting way to cool off as we ended our day at Busch Gardens. During your stay, I recommend checking out the Busch Gardens app. With the app, you can keep a map nearby and check out all the rides to help you navigate your stay. For more family travel tips, follow Theresa’s Reviews on Facebook, Twitter, Instagram, Pinterest, and YouTube. What is your favorite summertime family destination? Share in the comments!